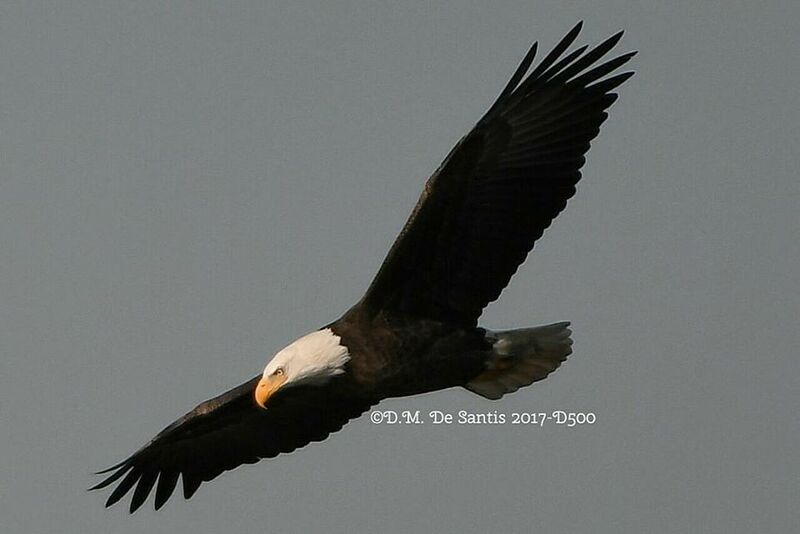 BCAS Raptor Walk This Sunday (Dec. 3)!!! 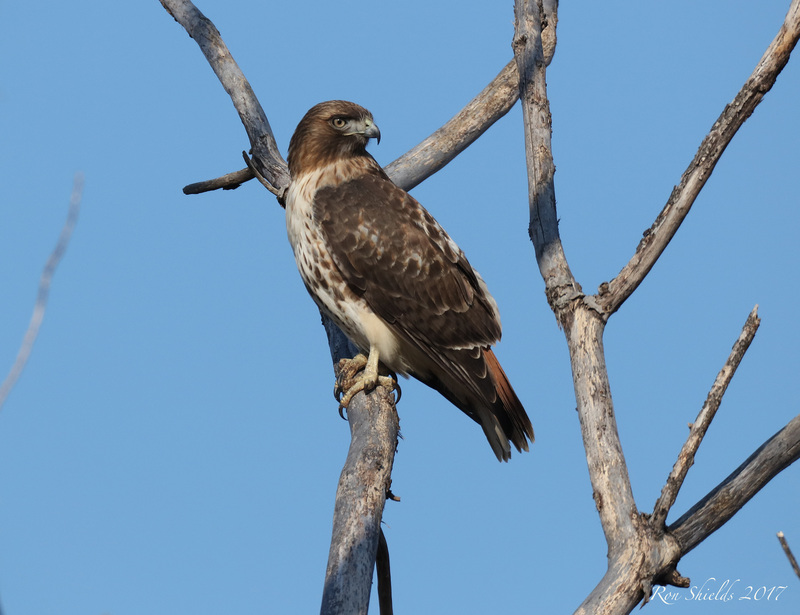 Join the Bergen County Audubon Society this Sunday, Dec. 3, for a raptor walk! We’ll be looking for hawks and falcons. The walk, from 10 am to noon, meets by the AMVETS Carillon on Disposal Road in North Arlington. For more info contact Don Torino at 201-230-4983 or greatauk4@gmail.com. For everyone that has come to love our Meadowlands there have never been words needed or explanations sought to explain our passion for this special place. There was never a requirement to discuss details or describe the reasons why the frequent visitors just know in their hearts that the Meadowlands is part of who we are and that it conveys “life” to those that have come to love it, the same as it does for any wild bird of the skies. To those of us who grew up there it has risen like a phoenix from the ashes and for those that have recently discovered its magic is a whole new world which has been waiting to reveal itself to those lucky enough to search out its treasures. And yet sometimes I am still asked why I love the Meadowlands. So for those that have yet to visit there I will try in some way to explain what the Meadowlands means to me ans many more of us. 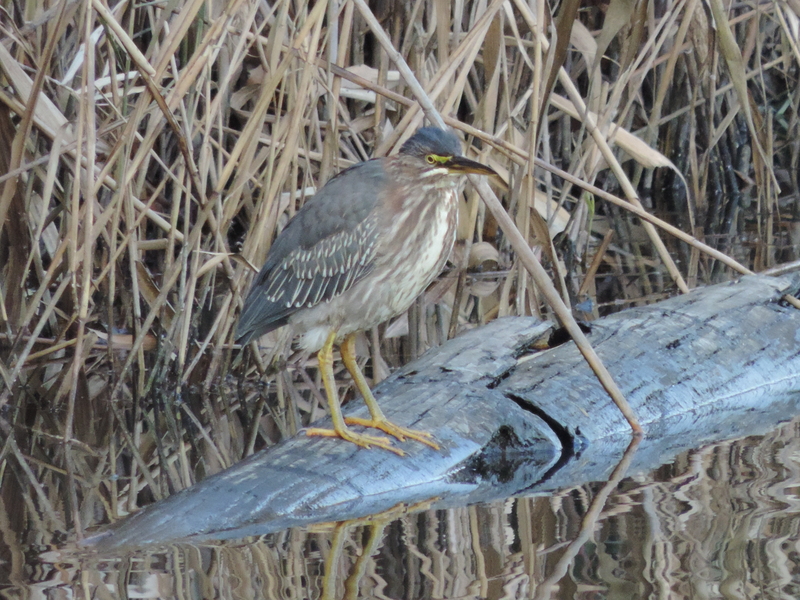 Rich Brown took this shot of a Green Heron last weekend at DeKorte in the Shorebird Pool. Thanks for sharing Rich! More than 25 presentations from last month’s Superstorm Sandy: Five Years Later conference are now available online. The conference hosted by the Meadowlands Environmental Research Institute (MERI) brought together a community of scholars, researchers, urban planners and policy-makers to present findings over the past five years about the environmental, social and design challenges facing East Coast estuaries and bays under more frequent extreme weather events. Speakers included representatives of MERI, the US Geological Survey, the NJ Department of Environmental Protection, Rutgers University, Stevens Institute of Technology and Columbia University. Every Thanksgiving is special ,and even more so for those of us who grew up loving the outdoors . I thought I would repost my column that I wrote back in 2011. A Thanksgiving morning nature walk means even more now than it ever has. Thanksgiving was always a special day for my brother and I. It meant much more to us than having a big dinner and watching football. It was a day we would get outside and enjoy nature together. This wasn’t the only day of the year we would get together and relish the wonderful natural places we had around us but this was our day, a special time we set aside each year to appreciate the natural places we had close to our home in the Meadowlands. 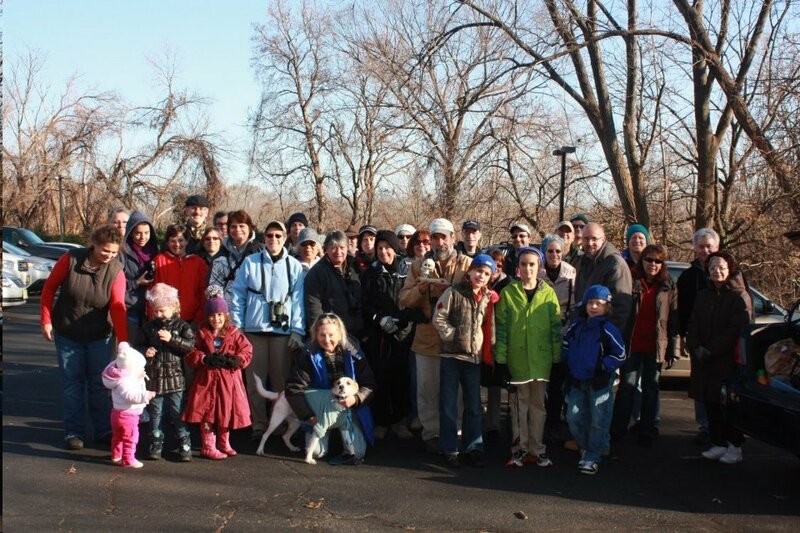 Tomorrow: Bergen Audubon Meadowlands Walk! 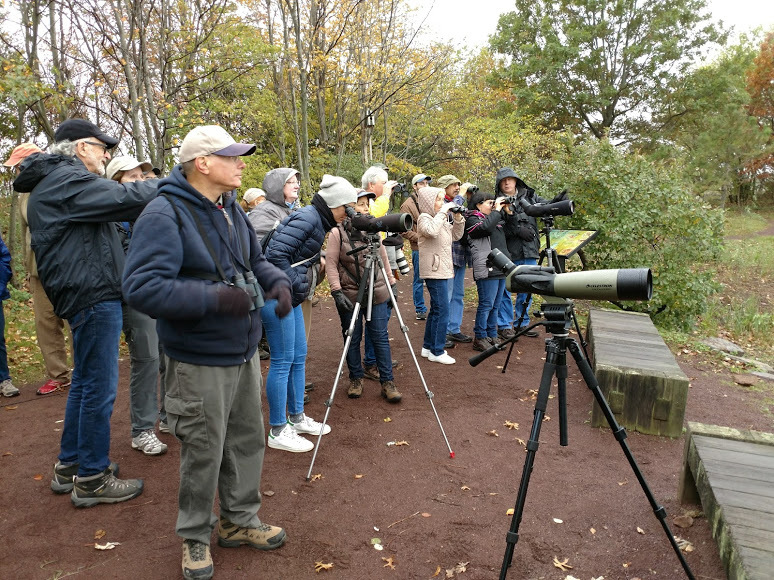 Join the Bergen County Audubon Society tomorrow (Nov. 21) for a guided walk of Mill Creek Marsh in Secaucus from 10 am to noon. 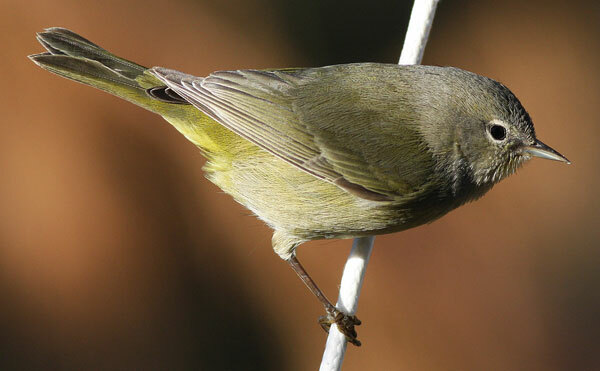 Keep your eyes peeled for sparrows and other fall migrants! For more info contact Don Torino at greatauk4@gmail.com or 201-230-4983. See you there! 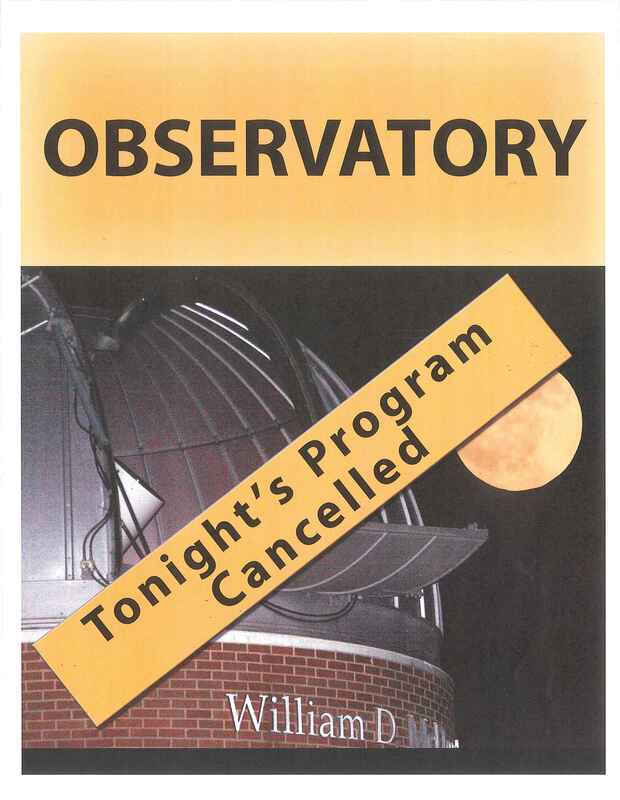 McDowell Observatory Closed Tonight and Nov. 22. Due to the weather conditions and forecast, the William D. McDowell public viewing session on Wednesday, Nov. 15, has been cancelled. 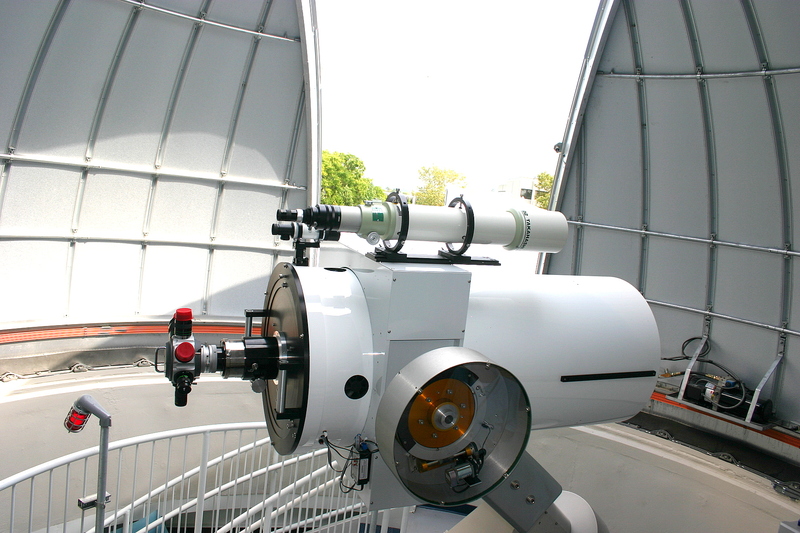 The Observatory will also be closed on Wednesday, Nov. 22. The next public viewing night is Wednesday, Nov. 29, from 8 to 10:30 pm. Bergen Audubon Meadowlands Walk Next Tuesday (Nov. 21)! Join the Bergen County Audubon Society next Tuesday (Nov. 21) for a guided walk of Mill Creek Marsh in Secaucus from 10 am to noon. Keep your eyes peeled for sparrows and other fall migrants!